Creating robust software requires the use of efficient algorithms, but programmers seldom think about them until a problem occurs. 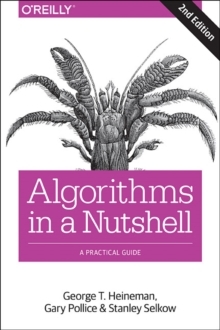 This updated edition of Algorithms in a Nutshell describes a large number of existing algorithms for solving a variety of problems, and helps you select and implement the right algorithm for your needs-with just enough math to let you understand and analyze algorithm performance. With its focus on application, rather than theory, this book provides efficient code solutions in several programming languages that you can easily adapt to a specific project.